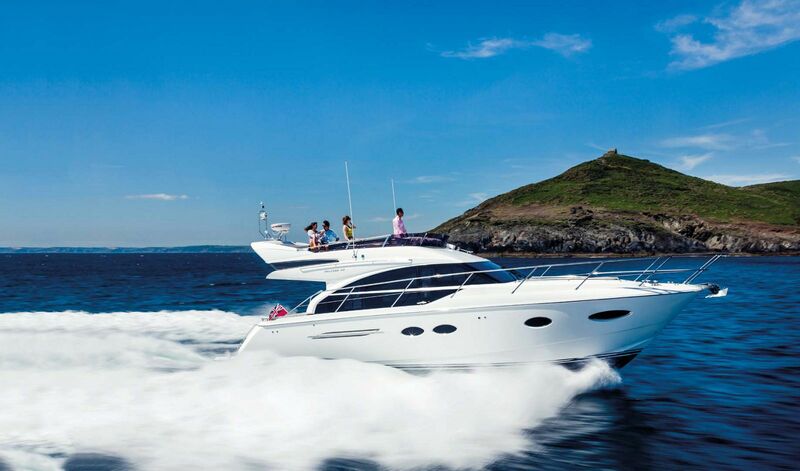 SI Yachts has been representing Princess Yachts as the exclusive dealer for the Northeast since 2003. 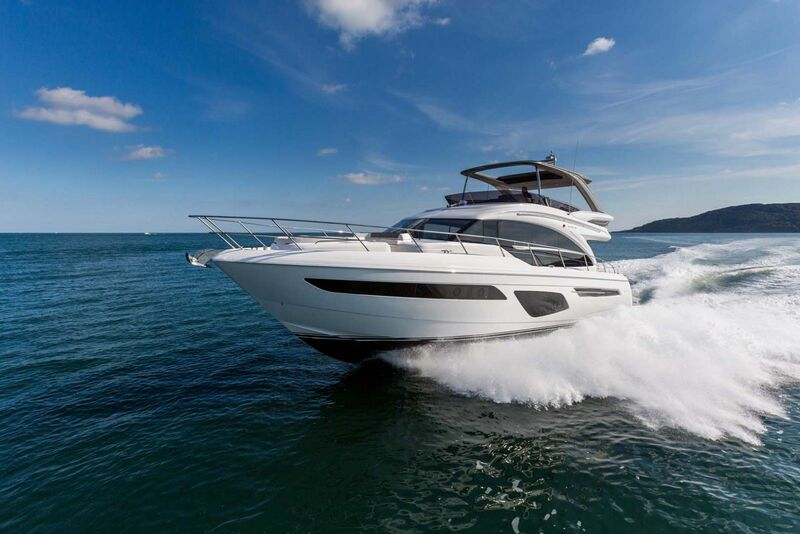 We have Princess Yachts experts on staff to walk you through all models from Flybridge Motor Yachts to Princess Express Yachts For Sale. 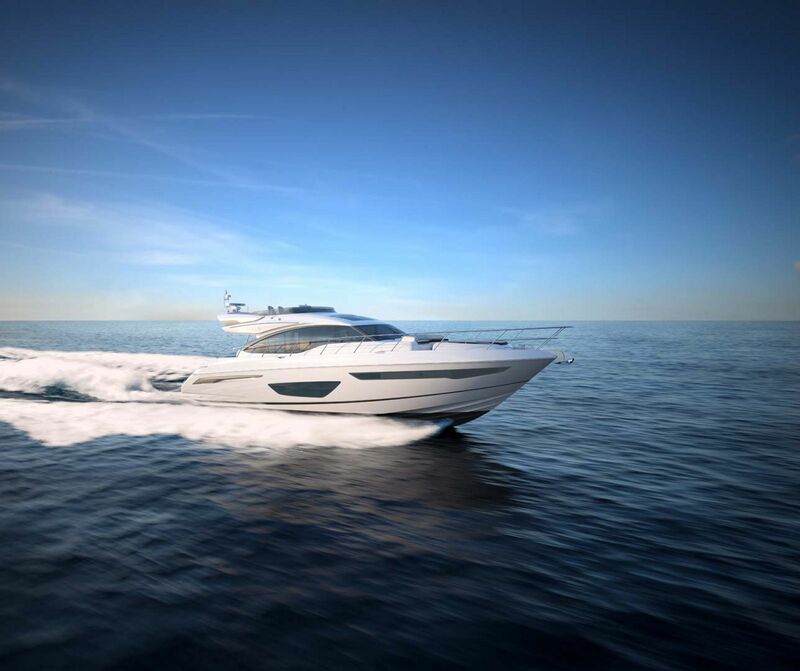 The Princess Yachts story began more than 50 years ago in Plymouth, England when a group of friends, including an ex-Naval officer named David King, decided to form a company called Marine Projects in an effort to build a superior cruising boat. With an old 31-foot mold and a rented out shed, the team meagerly launched the very first model dubbed Project 31. Over the next several years and many advancements, Marine Projects launched the Princess 32 in 1969 which became the first model to bear the Princess name. It was just one of many changes however that would evolve the Princess brand into what we know it to be today. In 1995, a relationship was forged between Viking Yachts in New Greta, New Jersey and the Princess Yachts Limited factory in England. 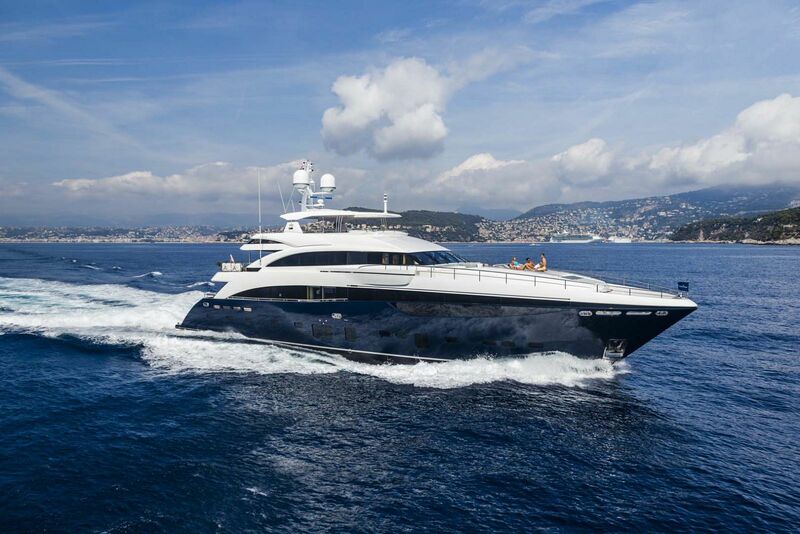 The goal was to bring the Princess brand of luxury cruising yachts to the American market, but backed by the well-known reputation of the Viking Yacht Company. This new style of sport yacht became known as the Viking Sport Cruiser, which was built in the same process as the Princess Yacht, yet with differences for the U.S. market including things like larger refrigeration , more horsepower in the engines, and converted electrical systems and components on board. Much has changed since the launch of the first Viking Sport Cruiser back in 1996, including the purchase of the brand by the world-renown LVMH family of luxury brands which includes over 60 of the top companies worldwide known for exceeding expectations including Louis Vuitton, Fendi, Feadship Yachts, and De Beers. 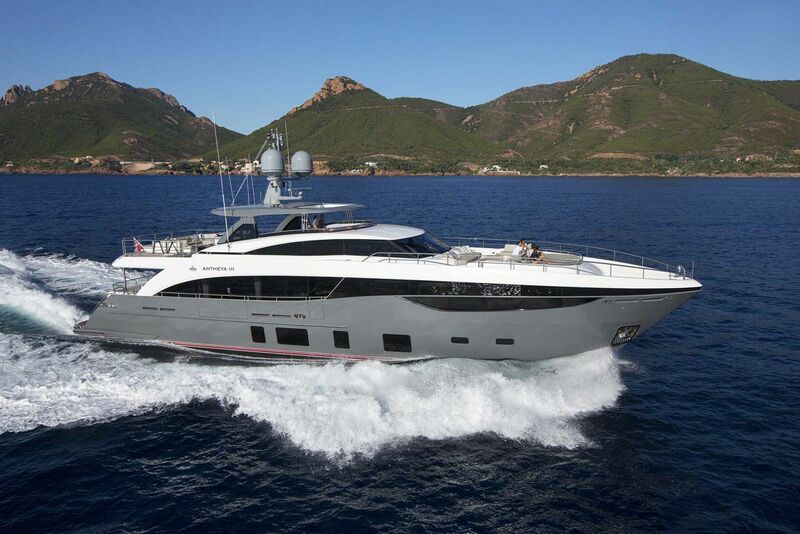 Now known as Princess Yachts and distributed to Staten Island Yacht Sales through Princess Yachts America, the ever-expanding line-up now boasts models into the super yacht range at up to 40 meters. Every employee at the shipyard in Plymouth is touted as a skilled craftsman at their trade and there are multiple generations of families that have all become part of the Princess family. With an experienced workforce and all of the finishes done in-house, Princess is able to maintain a very particular level of quality control not seen at most yacht builders. The deep-V hull that Princess has become synonymous with over the years continues to be the mainstay in design although production technology has continued to improve and with it, the level of performance and expectations. It’s no wonder then why Princess uses the tagline “Experience The Exceptional”. One visit to the Princess factory with the team from Staten Island Yacht Sales and the choice becomes very clear as to the exceptional level of experience you can expect with a new Princess Yacht. The launch of the M-Class series catapulted Princess right into the heart of the superyacht market. The 100-foot raised pilothouse motor yacht known as the 30M marked a perfect entry point for Princess to begin their superyacht line-up. Perhaps one of the most noticeably spectacular area on board is the Flybridge, which sports a flexible, modular style seating system beneath a sunroof-equipped hardtop and adjacent to a wet bar. And of course, the Princess Design Studio delivers an unmatched experience of personal service and attention to detail when it comes to working with the owner on selecting cabinetry, finishes, and all of the minor details that go into customizing a new Princess Yacht. 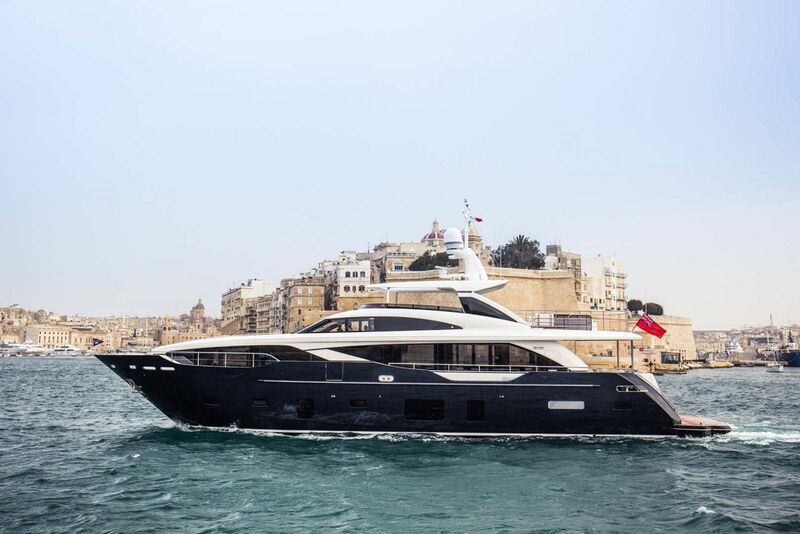 The mid-range 35M provides a step-up from the 30-meter in size, but is just as equally luxurious as the 40M. Continuing with its trend of flexible seating options, the cockpit has been designed with entertaining in mind by featuring unique aft and forward facing seating that can be adjusted to fit your guests. The panoramic windows combined with the abundance in space create an open feeling of tranquility inside the salon of the 35M that is matched only in that of the 40m. Having won the 2013 World Superyacht Awards, the Princess 40M has lived up to its reputation as the flagship model of the Princess fleet. 12 guests can cruise comfortably throughout six generously appointed cabins, including two master suites on the main deck and upper deck. Crew accommodations for up to eight are also perfectly secluded to offer the guests privacy and space. Powered with MTU 12V4000 engines give the 40M plenty of horsepower to cruise at 16 knots comfortably or economically at 14 knots. 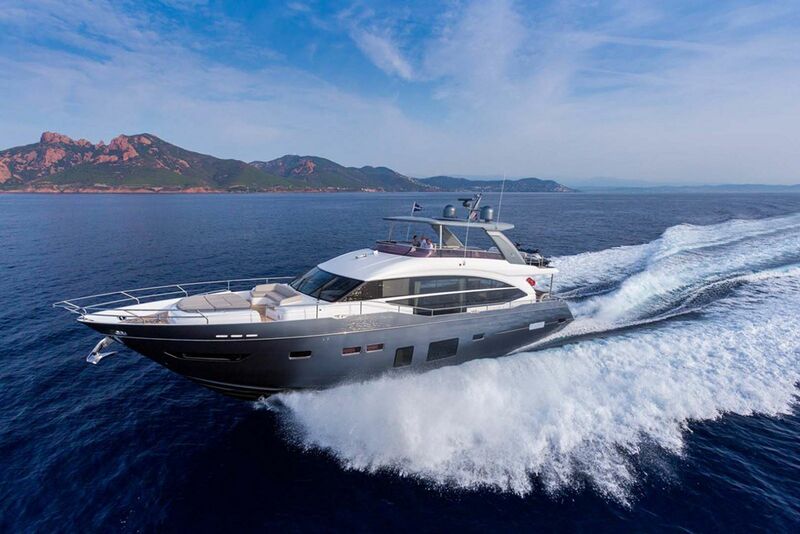 The Princess Y-Class Flybridge motor yacht series provides an unforgettable experience across the entire model line that is ingeniously crafted to appeal to even the most particular yacht owner. 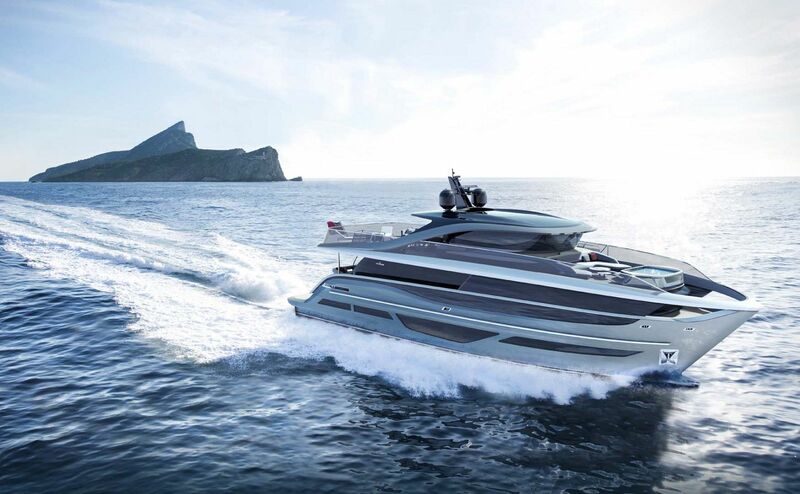 Only the finest in materials and construction techniques make it into the build of a Princess Y-Class yacht which includes three models: the 75MY, the 82MY, and the 88MY. Every aspect of these yachts, whether it be in the spacious layout of the salon and cabins or the attention to detail in the propulsion, is an art-form aimed at creating a compelling experience at sea for everyone on board. 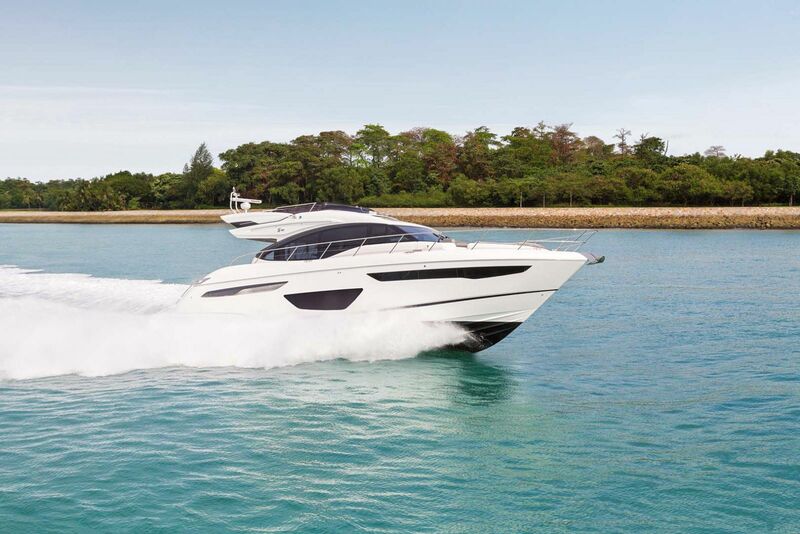 The Princess 75MY was described as a “boat that doesn’t put a foot wrong in any department, with a genuinely entertaining driving experience and a top speed of 35 knots,” according the Motor Boat magazine, which recently gave the Princess 75 the Top Motor Boat Award for the category of “Flybridges Over 55-feet”. The overwhelming characteristic of the new 75 are the massive windows which nearly reach down the floor provide amazing views while at cruise and lots of natural light into the salon. Enjoy a full beam master suite which is both wide and high, giving the feeling of lots of extra room due to the extra space provided by the resin-infusion process in the hull. The crew also will enjoy a quite civilized two-bunk cabin and private head and stall shower. 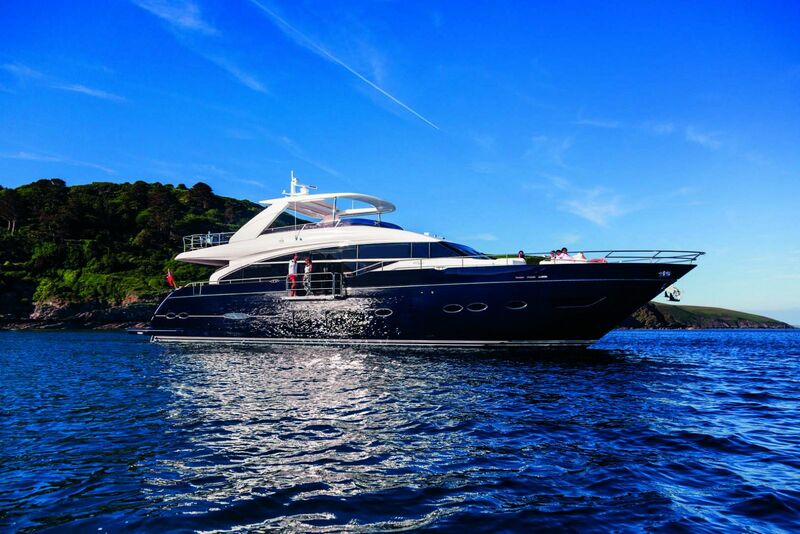 Staten Island Yacht Sales has expert Princess advisors on staff that have spent countless hours at the factory in Plymouth and can help to guide you through the process of building a 75, 82, or 88 motor yacht. There is no better feeling on a yacht in the summer than cruising with the sunshine on your face with the breeze keeping you cool atop your own personal Flybridge. It’s this reason there are so many Flybridge motor yachts sold every year by Princess. The Flybridge on a Princess yacht is very technically advanced with seating, helm, and other components proportionately spaced to give the feeling of a massive area. No matter what size Princess Flybridge you are considering, every bridge is incredibly efficient and well thought-out for entertaining guests. 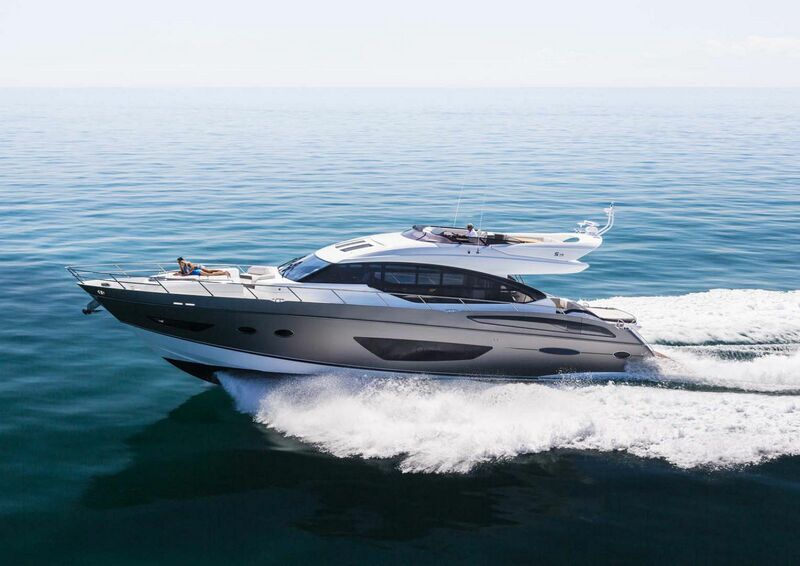 The Princess F-Class consists of 5 models including the 43 Fly, 49 Fly, 55 Fly, 62 Fly, and 70 Flybridge Motor Yacht. 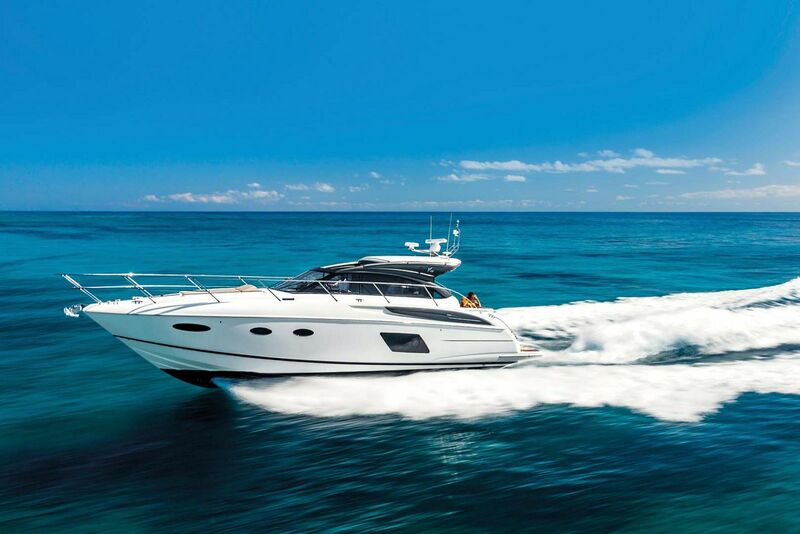 Making its debut at the Fort Lauderdale Boat Show in 2017, the Princess 62 Flybridge saw rave reviews from customers and editors. The main deck salon has a lot of comfortable seating including a U-shaped settee, a two-person sofa, and an L-shaped dining area. Additionally, you’ll find even more forward-facing L-shaped seating opposite the helm on the starboard side. The lower deck houses three en suite staterooms with another twin stateroom aft as an option for extra guests. The en suite master cabin has a double berth facing a 40-inch television. The Princess V-Class series is best known for its deep-v hull that graciously glides through head seas without guests on board even aware of the disturbance. The V-series provides a “paradox of responsive power and exclusive luxury” whether on board the V40 or the V65. 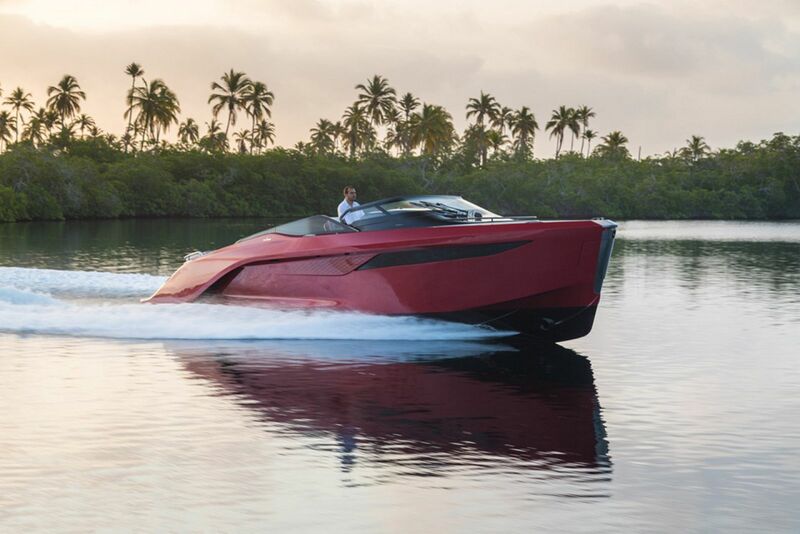 The striking Princess V-class series is instantly recognizable while in motion, the sleek exterior lines resembling a luxury European sports car. 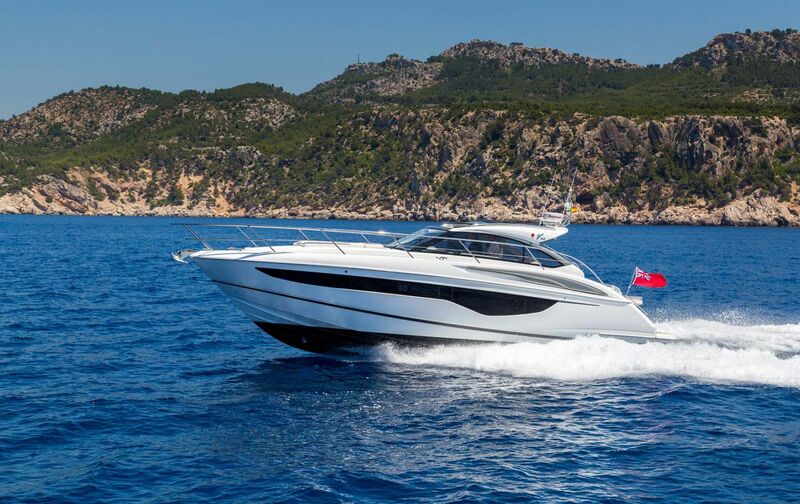 Princess Yachts is currently building five V-class models including the V40, V48, V48-Open, the new V60, and the V65. 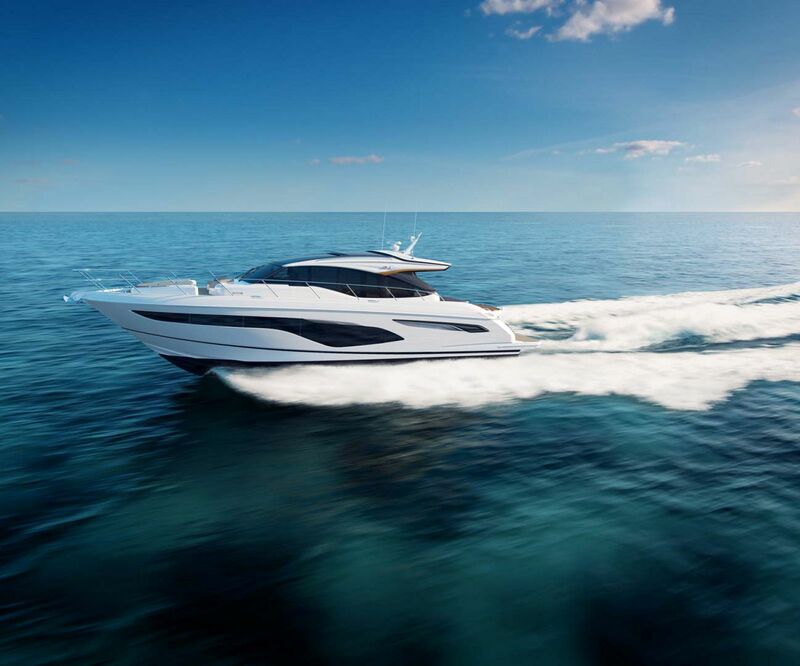 The spectacular lines of the new Princess V60 will soon grace the waters of America as it is set to debut in mid-2018. The new model will once again provide an exceptional entertaining experience for owner and guests whether in the salon or aft seating area. 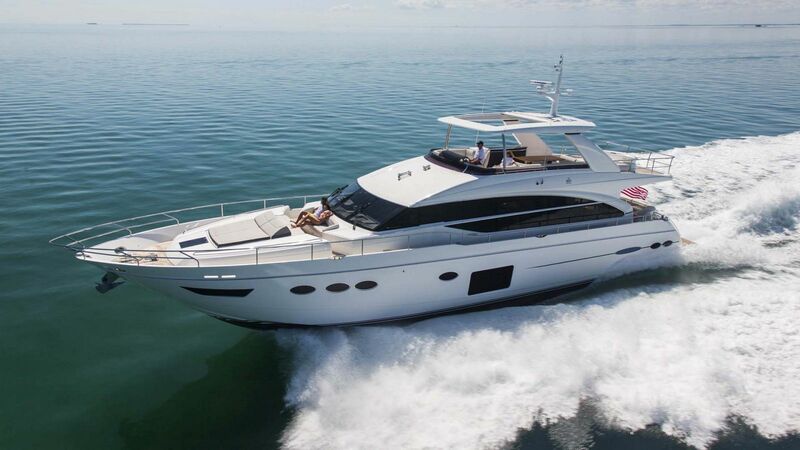 The signature retractable sunroof invites light and wind onto the helm giving a true outdoor experience with all of the comfort features for a luxurious ride. For the owner that wants to combine the flybridge experience with the speed and versatility of the V-class models, the new Princess S-Class Sport Bridge series is a perfect solution. The space offered in the salon and staterooms is both captivating and distinctive of the Princess factory’s ability to design a layout that flows eloquently from bow to stern. The extra space and storage in the cockpit garage provides plenty of space for water sports equipment to give your guests more entertainment options while at on board. 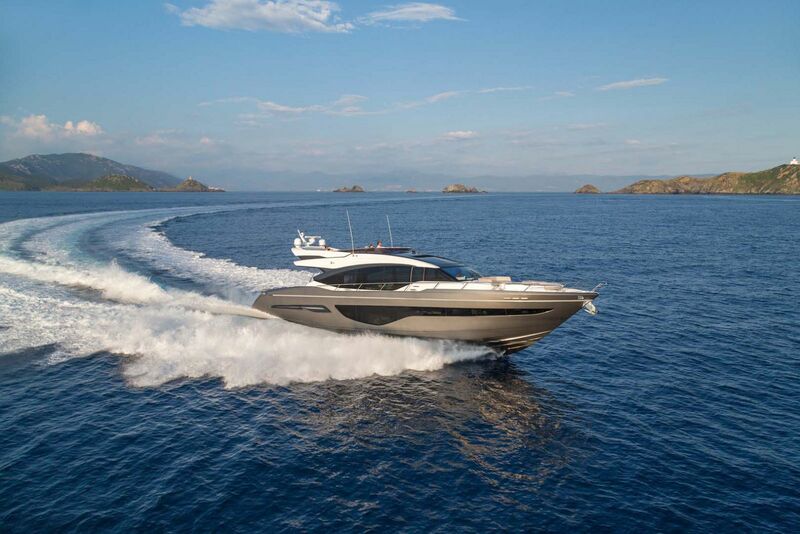 Princess has created four sport-bridge models in the S-class including the S60, S65, S72, and the new S78. 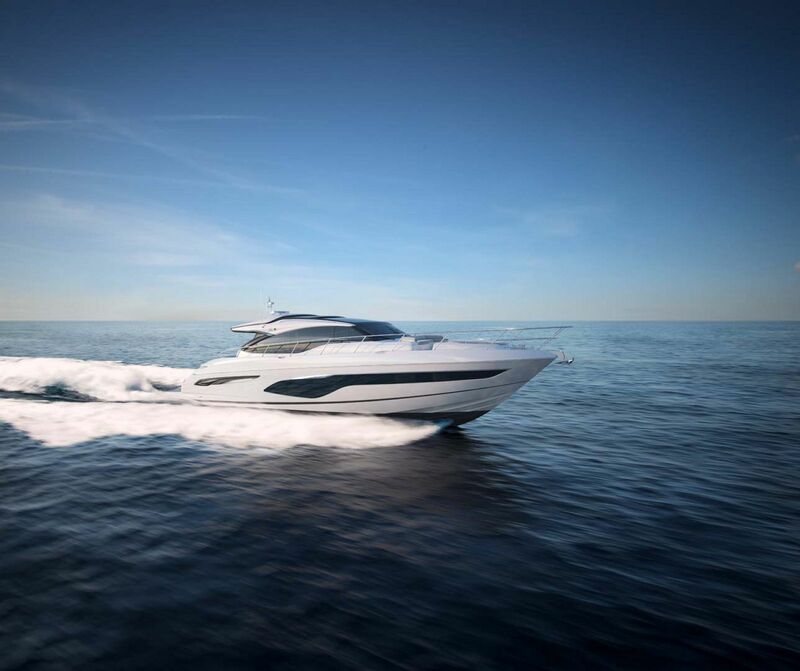 The deep-V hull design of the new Princess S78 propels you along at over 39-knots, yet feels much more comfortable than a motor yacht should at that speed, a nod to the superior construction in Plymouth. Inside the salon, you’ll find an amazing entertainment system engineered by NAIM known for their audio expertise. 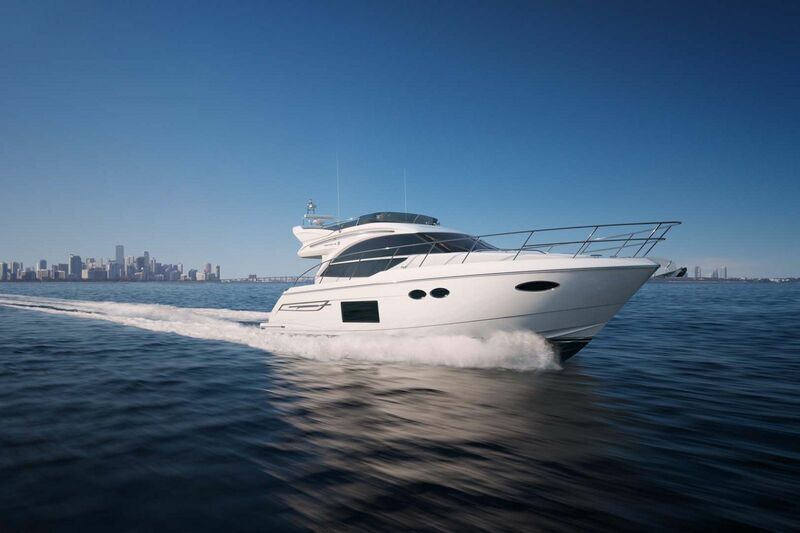 Staten Island Yacht Sales is pleased to offer our clients the opportunity to own any of the new Princess Yachts S-Class models with the industry-leading support through our service department.